The Saving Lives – Saving Families Campaign goal is to serve 1,000 Post-9/11 Veterans, Service members and their families by December 31, 2019. There are more than 76,000 post-9/11 Veterans living in Central Florida and approximately 25,000 of them will experience cognitive or readjustment issues when returning from deployment. Since 2009, Camaraderie Foundation has provided community outreach to 6,086 Military Service Members, post-9/11 Veterans and/or family members in 35 states and provided counseling services to over 1,245 cases. Eighty-Four cents of every dollar raised is spent directly on our programs. 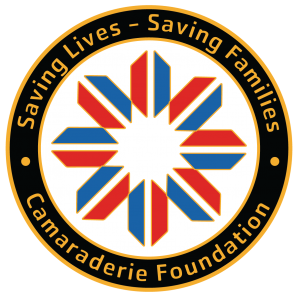 At Camaraderie Foundation, Military Service Members, post-9/11 Veterans, and their families begin counseling usually within 24 to 48 hours. With our current funding we can only assist a few hundred and that isn’t nearly enough. Our goal is help them all but we cannot do this without your support.